All registrations are pending until we review and confirm your enrollment by email. Enrollment dates for violin are: August 1 to September 7 and December 20 to January 4. Please do not register during other times of the year. After you have completed your registration form, please click on the "Continue to Payment" button at the bottom. You will then be able to set-up your payment online. If you do not see a payment option which matches your situation in the pull-down menu, please contact us. If your payments will be processed through a Charter School, please click on the "Continue to Payment" button at the bottom of the registration page, and then close your browser. Once we receive notification that you have completed your payment arrangements, we will confirm your enrollment. Please do not attend class prior to confirmation of enrollment. We will confirm that the class you have registered for is opening (has enough students) one week prior to the starting date. If applicable, please note the name of the person referring you. Medical Condition: If your child has a medical condition (such as allergic reactions) that we should be aware of, please describe it below. If you are registering more than one child, please specify which child has the medical condition you are describing. T-shirt size: All violin students (except for the FRAS class) are required to have a Strings in Schools t-shirt for playing at certain events. 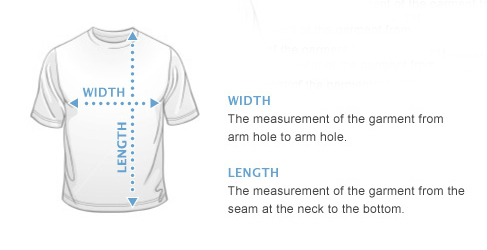 If you do not have a t-shirt, or need a new t-shirt, please select the appropriate t-shirt size for your child below. If you need to select more than one size of t-shirt for more than one student being registered, please hold down the "Ctrl" key while making your selections. If you are registering more than one child, please specify the t-shirt size of each child below. If you will be renting a musical instrument from Strings in Schools, please enter the child's name and instrument below. Please note any other comments or questions you have below. Please select one or more classes and enter your student's name. Following are special short-term classes that are currently available. Please read through our Studio Policies. Only children who are enrolled will be provided with instruction during a music class. If you or your child has an illness, please wait to come to class until you’re feeling better. Students should be fever-free for 24 hours prior to attending class and not have any contagious symptoms such as drainage or rash. If our classes are cancelled for any reason, you will receive an email notification. Please refer to your class’s details on our Classes page for holiday time off. It is our goal to provide a safe class environment. If your child is disruptive or is making inappropriate physical contact with other children, please gently guide them outside of the classroom and let them know that they must refrain from their behavior in order to join the class again. Continued aggressive behavior toward other children and adults may result in temporary or permanent dismissal from class. For violin and flute classes, payments are due every month, starting on September 15 (or you can pay in full at the beginning of the season). If you would like to make monthly payments, please wait until you receive payment instructions. We utilize a recurring subscription payment service that will automatically charge your credit/debit card for tuition and any applicable rental fees. Please do not attend class prior to completing your payment plan arrangements. We do not offer refunds or credits for missed classes. We do not offer a pro-rated instrument rental refund if you return your instrument prior to renting for one year; unless you have rented for less than 6 months, in which case you would be responsible for paying one-half of the typical rental fee. If you need to discontinue your violin class enrollment, please provide us with a minimum of 30 days prior written notice by contacting our Director. If you discontinue our violin program, you will be ineligible to re-enroll in our program until the following September. If you discontinue our violin program on two different occasions, you will be permanently ineligible to re-enroll in our program. The only exception to the above two rules is a medical or family emergency that will be evaluated upon request by our Program Director on a case-by-case basis. 1) From the date new violin classes appear on our website in August until 1 week prior to the first day of class in September. 2) From December 20 until January 3. We communicate with our families through email, so please check your email consistently for updates. To ensure the privacy of children enrolled in our studio, photographs or videos we use for marketing purposes will not contain names or personal identifying information of children. Strings in Schools default policy grants us the right to use any photograph or video taken at our teaching locations or at any event sponsored by Strings in Schools. If you do not wish to have your child's image recorded or photographed please contact our Director in writing through our Contact Us form. By checking this box, you agree to our Studio Policies. Please note: If a Charter School will be providing your payment, please click on the "Continue to Payment" button below and then close your browser.